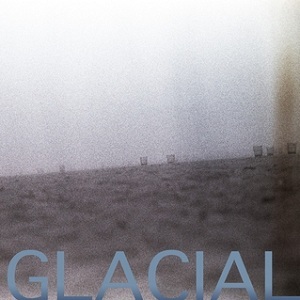 Glacial is an impressively eclectic trio: Sonic Youth’s Lee Ranaldo on guitar, The Necks’ Tony Buck on drums and Highland Bagpipes’ contributor David Watson on, well, bagpipes. The fact that this album is one 48-minute track, it’s an instrumental and bagpipes are involved might immediately sound like a kitschy experiment but rest assured, On Jones Beach transcends the realm of mere novelty. Broken down by musician, Glacial makes total sense. Ranaldo has been an inventive and influential guitar guru alongside Thurston Moore in one of the most important bands of the past three decades. Buck has exhibited his percussive fortitude in numerous mile-long productions with The Necks. David Watson, aside from being an accomplished bagpiper, co-founded Braille Records which championed the experimental music scene of New Zealand. Three pieces to a bizarre yet fitting puzzle and so Glacial’s success with On Jones Beach should not come as a surprise. What does come as a surprise is that the material is six years old. The title track was recorded in 2006 prior to the release of Sonic Youth’s Rather Ripped and The Necks’ excellent Chemist. It wasn’t until 2012 that the record label Three Lobed decided to step up and release On Jones Beach. The sound for On Jones Beach builds upon itself. The drums don’t kick in until the 15-minute mark and the bagpipes some minutes later. This sonic construction allows the album to transition swimmingly through a number of different vibes – from droning, minimalist whale song to cacophonous free jazz; from a wind chime in a windstorm to a plodding, Gaelic death march. What’s most impressive is that Ranaldo’s guitar and Watson’s bagpipes are not in competition. Rather, the two distinct instruments end up complimentary, a miracle unto itself. Watson’s pipes and Ranaldo’s guitar become homogenized similar to the way that John Cale’s strings melded with the guitars of Lou Reed and Sterling Morrison. And kudos to Tony Buck for anchoring the sometimes wayward feedback and squelching pipes with catchy shuffles, jazzy cymbal work and tumbling drum rolls. Each Glacial musician is afforded an appropriate amount of limelight. The delayed release and lengthy duration of On Jones Beach prove that patience is a virtue. It is available for download or on vinyl. The downloadable content includes an alternate version of the title track as well as some live recordings and extras. This album, though a bit of a commitment at first, is one of the more impressive instrumentals in recent memory.